Sending your child away to boarding school is not an easy decision to make. You're not going to be there to care for them on a day-to-day basis, so it makes sense that you want to find the best place for your child. Boarding school offers many benefits and opportunities to high school students, and considering your options is one of the best ways to find the right boarding school for your son or daughter. 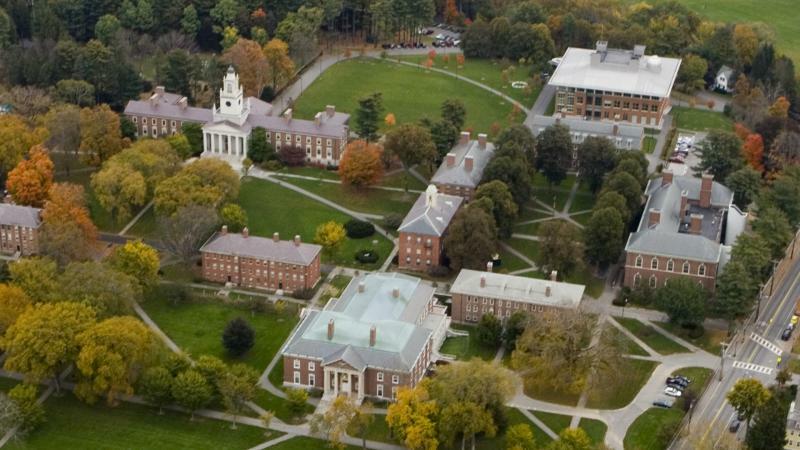 Located in beautiful Andover, Massachusetts, Phillips Academy is ranked the #1 boarding school in the United States. The school was established in 1778 and is committed to a liberal arts tradition and academic excellence, which means access to more than classes like gothic literature and chamber music. Students living on campus can enjoy a dining hall, wellness center, and many opportunities for academic assistance. They are supervised by teachers, coaches, and house counselors. Extra-curricular activities round out your child's experience and include clubs and sports, such as drama and rock climbing. Tuition at the school is $41,900 for day students and $53,900 for boarding students. Financial aid is available. About 13% of Andover students get some type of aid, which can be up to 100% of a family's needs. Lots of academic choices - The school focuses on a liberal arts education with more than 300 classes, including 150 electives. Small class sizes - Classes are small with the average class being 13 students with a 5:1 student to teacher ratio. Plenty of financial aid - With more than $1 million awarded in grants each year, even families in need will be able to send their child to the school. Good preparation for college - Outreach programs, like the Bread Loaf Writing Workshop, help students prepare for college after graduation. Graduates matriculate to many prestigious colleges, including Harvard, Brown, Cornell and Yale. Limited availability - The school receives nearly 3,000 applications each year, but the total number of students enrolled is 1,150. Some bullying reported in past years - Bullying has been a problem at Phillips in past years, as far back as the 1960s when politician Jeb Bush attended the school. However, the school now has a clear bullying policy to combat the issue. Large student body - The size of the school can be overwhelming to some students, especially those used to smaller school environments. Reviews of Andover Phillips Academy on GreatSchools.org praise it for its excellent academics, warm school environment, and great reputation. They also note that it isn't pretentious, which can be a big plus for many families who want a grounded school environment. Founded on a tradition of honor, Episcopal High School is located in Alexandria, Virginia, mere minutes from Washington D.C. The school boards 100% of its students and is the only all-boarding high school in a major city anywhere in America. With more than 140 classes, including advanced statistics and forensics, students are continually challenged. In addition, there are 45 honors and advanced courses available. On campus, students live in residential halls, overseen by a dorm faculty head. A key value of Episcopal High School is student independence and responsibility. A range of extra curriculars are available, from book club to soccer. Tuition is $56,400 with extra fees for certain sports, music lessons, and academic materials. The school offers a variety of ways to make payments, including monthly, and offers financial aid totaling $6.9 million each year. A sense of community - The fact that Episcopal is a 100% boarding school means students create a sense of community with their peers and learn personal responsibility at the same time. Teachers also eat four seated meals with students each week, so parents can be assured that they are living in a family-like environment. Unique Washington-centered academic environment - Exposure to The 45 honors and advanced classes offered mean that students can foster their intellectual strengths and personal passions. All courses have a Washington Program component, which integrates students with the political and cultural aspects of Washington, DC. Spiritual guidance - Chapel services each week build each child's relationship with God and helps them learn morals and values that align with those of the family at home. This may not be a pro for families of other religious backgrounds. Fewer international students than average - According to Boarding School Review, Episcopal High School is made up of 13% international students, compared to the average of 20%. 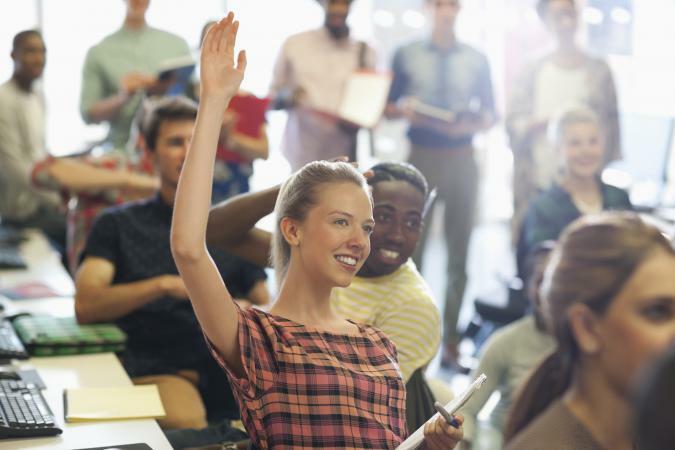 This may mean students are exposed to fewer differing viewpoints and backgrounds. Difficult to get in - Boarding School Review also notes that the school has a 35% acceptance rate, making it challenging to get a spot. Mandatory moral focus - When they choose to attend, students must agree to live by the Honor Code, which dictates the moral rules for the school and requires students to report others who break those rules. Past students rate the school very favorably on Boarding School Review, citing its amazing location near Washington, DC as one of their favorite elements. They also praise the 100% boarding environment and the great sense of community it fosters. Even those who found themselves in a minority felt that the school was welcoming and inclusive. 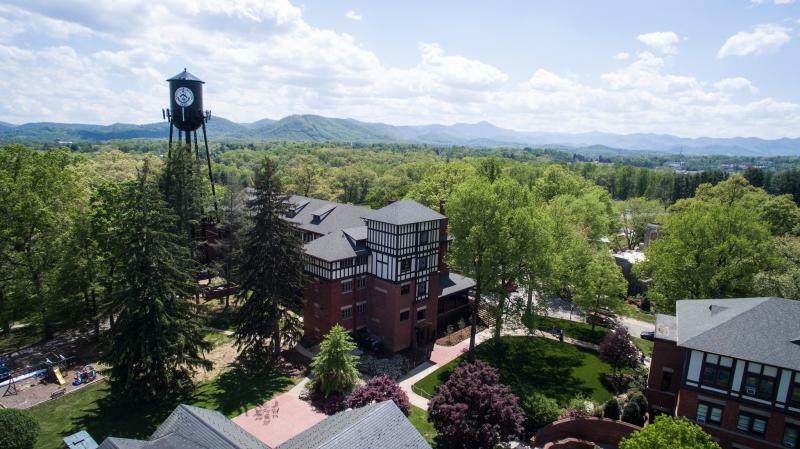 The Asheville School is located on 300 acres of land in Asheville, North Carolina. About 80% of students board, and freshman attend a three-day wilderness event that includes a ropes course. The school was founded in 1900 and features a rigorous Integrated Humanities program that includes classes like ancient studies and psychology. Many students who graduate from the Asheville School go on to attend Ivy League colleges. Boarding students have access to 24-hour care at the campus health center and a top-of-the-line learning center where students can develop skills and get additional help with certain assignments or courses. Many of the school's staff live on campus and provide supervision for students, both day and night. Extra-curricular activities keep students busy and include sports and clubs, from cross country to ping pong. Merit scholarships and financial aid are available and can be renewed each year. This helps offset the cost of tuition, which is $32,375 for day students and $54,900 for boarding students. Small size fosters community - A small annual enrollment of about 285 students fosters a sense of community and allows teachers to provide close attention to each student. 100% of students go on to college - The school is proud of its nationally-acclaimed humanities program that gives students skills and talents that will help them in college and beyond. It boasts that 100% of students go on to higher education. Mountaineering focus - Located in the Blue Ridge Mountains, the school offers a wealth of opportunities to learn about rock climbing, kayaking, and other aspects of mountain life. Limited availability - With only 60 freshman openings each year and a 40% acceptance rate, students may find it difficult to get in to this school. Formal dress code - For some students, the formal dress code may chafe against their need to show personality in their clothing and feel comfortable. May not be ideal for some athletic students - While those who enjoy the outdoors will find plenty of opportunity for athletic pursuits, the school receives an overall "B-" grade from Niche.com for sports. In addition, only 40% of parents and students would call students at the school "athletic." Students and parents alike love Asheville School and it gets an overall A+ score from Niche.com. Reviews from parents consistently praise the small size and cozy atmosphere as well as the commitment to outdoor activities through the schools mountaineering program. Past students praise the academic environment but also the focus on personal growth, saying they learned a great deal about themselves during their time at the school. Featured in the famous movie, "The Dead Poet's Society," St. Andrew's School is located in Middletown, Delaware and is committed to fostering its students' Episcopalian identity in a 100% boarding environment. A college prep curriculum gives your student access to classes that range from Latin to multivariable calculus. State-of-the-art classrooms and labs enhance the learning experience. Living on campus is both exciting and structured, with activities outside the classroom that include clubs, sports and weekend activities. That includes options like the 5K club and open mic night. About 95% of the staff lives on campus, so your child is properly supervised and cared for at school. St. Andrew's School does not restrict enrollment due to the need for financial aid and awards about $6 million per year in aid to 47% of the student body. Tuition fees are $57,000 per year with extra fees for certain sports and music classes, so financial aid can certainly help offset the cost. Small class sizes - The average class size is 12 students with a 5:1 student to teacher ratio, so your child will get plenty of personal attention. Focus on diversity - St. Andrew's Boarding School Review rating indicates that it has a student body made up of 42% people of color. In addition, the school has a dedicated commitment to diversity education, encouraging students to recognize their own biases, learn from others of different backgrounds, and advocate for themselves. A sense of community - With 100% of the student body boarding at the school, St. Andrews prides itself on creating an inclusive sense of community for those who attend. Difficult to get in - With a 26% acceptance rate, applicant have only about a one in four chance of being accepted to the school. Formal dress code - The formal dress code may be a challenge for students who dislike that style of dress or what to express themselves with their clothing. Costly - At $57,000 per year, the cost of attending St. Andrews is significantly higher than the national average for boarding schools, according to Boarding School Review. Although there is financial aid, no merit scholarships are available. Although it's hard to get into St. Andrew's School, students are happy there and enjoy their learning and free time on campus. Many had high praise to offer on Boarding School Review, especially when it comes to the sense of community. They also loved the diversity and the focus on helping students grow as individuals. Founded in 1928, Western Reserve Academy is often called "the Yale of the West." It's a co-ed boarding school and is one of the few that still requires a strict and formal dress code. Graduates often go on to attend Ivy League colleges as well as the U.S. Naval Academy. The school is also ranked the #1 private school in Ohio. Knowledge and transferrable skills are taught in a broad variety of classes that include Mandarin Chinese and computer science. House masters and faculty residents help students adjust to residential life and encourage them to take advantage of the common rooms and the Center for Technology, Innovation, and Creativity as a way to grow as a person and student. Time spent outside the classroom is rich and varied. Your child can choose from a diverse selection of clubs and sports, with everything from swimming to a board game club being offered. Tuition at Western Reserve Academy is $36,750 for day students and $56,000 for boarding students. This covers most aspects of your child's education, and tuition assistance is also available. Financial aid is recalculated each year to coincide with circumstances that affect a family's ability to pay. Small class sizes - The average class size is 12 students, with a 7:1 student to teacher ratio so your child is going to receive the help and attention she needs. Well-trained staff - The school boasts that 91% of then faculty has an advanced degree, so you know information is top notch and ideal for college admittance. Opportunities for parent involvement - Parent involvement is important at Western Reserve Academy, and the school offers several parent organizations to help you stay connected to your student and participate in his or her education. Small school - While the small size of Western Reserve Academy, which has 400 students across four grades, can be a benefit for some, others may find it limiting. For kids hoping to get to know lots of peers, this may not be the best option. Saturday classes - Although many consider it a benefit, some students may not enjoy Western Reserve Academy's focus on Saturday classes. The class options are focused on developing important life skills, such as health and financial literacy. Formal dress code - Some students may not want to wear the mandatory coat and tie for boys or blazer and kilt for girls, and they may not appreciate the requirement that they don a collared shirt for Saturday classes. Western Reserve Academy is a deeply embedded part of the surrounding community, and that means that students, parents, and community members all have a lot to say about the place. They praised the school on Trulia, mentioning the personal and genuine approach to the student-teacher relationship and the challenging athletic and academic environment. Located in Northeast Georgia, Rabun Gap-Nacoochee School was founded in 1903. It's unique because it serves high school students but also houses children in graded five through eight. The school is known for its involvement in the 1960s Foxfire magazine project. In addition to having a famous railroad museum on campus, the school also teaches circus skills. The liberal arts curriculum allows students to take core classes along with robotics, choreography, and ceramics. A focus on circus arts gives the school a vibrant and colorful atmosphere overseen by faculty and residential hall monitors. Students also have access to state-of-the art dining halls serving locally grown food and a full-time health center. The on-site library and resource center helps students with schoolwork and assists in adjusting to boarding school life. When not in the classroom, your student can engage in sports like baseball and basketball and clubs that include wind ensemble and the Gap Dancers. Tuition at the school is $19,360 for day students and $50,440 for boarding students. About 75% of the students receive some amount of financial aid, and there are merit scholarships available to students as well. Money is given based on need and personal strengths. Merit scholarships - With several merit scholarships available, students can get financial aid based on their skills and strengths. Non-traditional outdoor learning - Outdoor learning labs give students a broader base of knowledge by giving them hands on opportunities to learn new things and apply them in real world situations. There is a focus on environmental stewardship. Diverse student body - Strong diversity on campus allows students to interact with peers from all walks of life. Unique Cirque program - The Cirque program is a unique opportunity for students to learn circus performance and gain confidence and athletic skills. It begins in the middle grades and culminates in an elaborate show put on by the high school students. Small size - With a total enrollment of about 600 students, including all grades and day and boarding students, kids may find that they are limited when it comes to peers. Only 50% boarding - Only about half of the student at this school reside there. Some may feel that this creates a less tight-knit community than a school with a population of 100% boarding students. Strict demerit system - The school bases some of its disciplinary measures on a demerit system, which some students may find inflexible. According to reviews on GreatSchools.org, this school is well liked by parents and kids. A few students didn't like the food in the dining hall and found residential life boring. However, most parents and alumni have only good things to say, including high praise for the Cirque program. They also love the academic challenges and opportunities and the focus on values like compassion. Boarding school is a wonderful opportunity for many high school students. Once you've made the decision to go down this road, it makes sense to educate yourself and look at all of your options so you can choose the right place for your child. Take some time to research the schools that interest you, and consider a visit to see the campus for yourself.